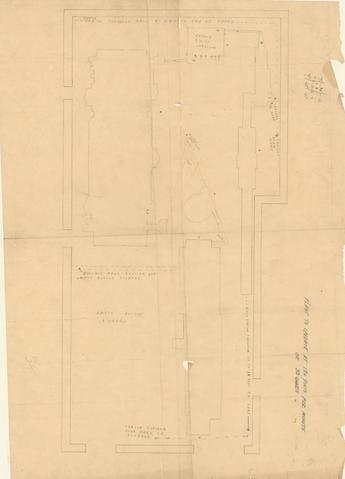 Item is a drawing of the layout of a floor in a bottling plant, probably one belonging to A. Keith and Son Ltd. The plant is designed to operate at 120 bottles or 93 quarts per minute. The drawing shows conveyor belts, bottle storage, and other unlabeled machinery.